Help us with the Judging of the Young Scientist Awards at state level and gain valuable professional development experience! STANSW is an Endorsed Provider with NESA (The NSW Education Standards Authority (NESA) at the level of Professional Competence and teachers can count the training received whilst judging the Young Scientist Awards towards their required professional development hours. For 2019 we are recommending that each school who enter projects into the Young Scientist Awards, have at least one teacher who will take part in judging. This is not mandatory, however, we do encourage participation from all schools who enter. You don’t have to be a teacher to judge – we welcome anyone who is interested – we will train you! Register here – 2019 Judging Google Doc Details of judging events below. A. Technology projects on Friday 6th September & Saturday 7th September 2019. B. Science projects on Friday 13th September & Saturday 14th September. C. Mathematics projects on Tuesday 17th September. D. Regional Hub for the judging of regional Science projects that will take place in Armidale on Saturday 14th September 2019. These arrangements are very different than previous years and we encourage you to take part in as many judging events as you can. Friday nights : 4:00 – 9:00 pm (4 hours NESA accredited course). Afternoon Tea and Dinner will be provided. Saturdays: Morning session 9:00 am – midday (3 hours NESA accredited course) and Afternoon session 1:00 – 4:00 pm (3 hours NESA accredited course. Lunch will be provided. Tuesday night : 4:00 – 9:00 pm (4 hours NESA accredited course). Afternoon Tea and Dinner will be provided. Note: The Technology project judging event on Saturday 8th September only has a morning session. All judges who have not judged in the last five years are required to attend a training session to ensure consistency in using the marking rubric and in the marking process. You only have to attend one training session even if you are judging multiple categories. Refreshments will be provided at each training session and training is free of charge. The Friday training sessions in Sydney are a condensed 2 hour NESA accredited course, held on the day of judging so regional judges wishing to judge in Sydney will only need to make a single trip. If you wish to take advantage of the opportunity of being a judge, please register by completing the 2019 Judging Google Doc. We will need to know your contact details and the age groups and categories in which you feel most interested and confident to judge. We will confirm arrangements for training and judging by email shortly before judging. The age sections are K-2, 3-4, 5-6, 7-8, 9-10, 11-12. The categories for Years 7-12 Scientific Investigations are Biology, Chemistry, Physics, and Earth and Environmental Science. If you have any questions about judging you can leave a comment below, or contact the Young Scientist Judging Coordinator by email at ysjudging@youngscientist.com.au. Completing Young Scientist Assessor Training or Young Scientist Judging will contribute the nominated hours of QTC Registered PD addressing 5.1.2, 5.2.2, 5.3.2, 5.4.2, 5.5.2, 7.4.2 from the Australian Professional Standards for Teachers towards maintaining Proficient Teacher Accreditation in NSW. Hello team …..a good month ago….i put in an application for YS judging. I judged last year. No reply at this point in time. Could someone get back to me when you get a chance. Yes you did fill out an application form on 6th June and submitted it at 3:55pm. You should have received a confirmation email at this time – can you please check. However I can confirm that your application was successful and you should be receiving a follow-up email next week with details of training times and venues. HI Russell – we were in the process of updating the form with 2019 dates which may have been the reason for that. It should be fine now. Thanks so much for your enthusiasm and early registration 🙂 We don’t do a separate training event for K-6 Engineering but on the day we would split up into K-6 and 7-12 groups to look at specific projects. Hope that answers your question. It is all up and running now. 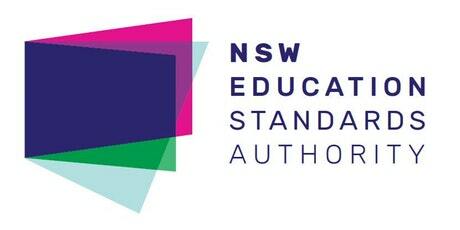 I am A rural teacher and would have to fly to sydney and accommodation for overnight judging. Is this a cost covered by STANSW or would the school need to cover these cost? Where do you live as we have a Rural Judging Hub?